Need to insert ‘buy’ buttons for Jvzoo, Click Bank or Paypal in your pages right where you need them? Use Click Missile! Need an email signup script in a specific post? Grab Click Missile! Want a banner ad in the content of just on one particular page? Click Missile to the Rescue! 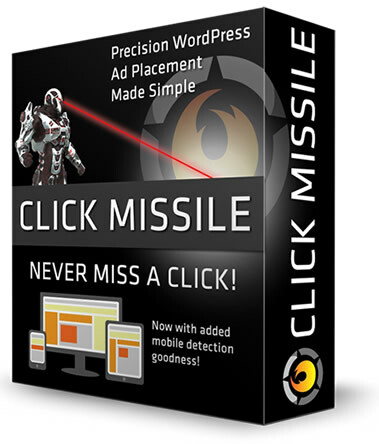 Click Missile adds an awesome arsenal of ad placement options to WordPress. See the demo videos below to discover more about this cool plugin! 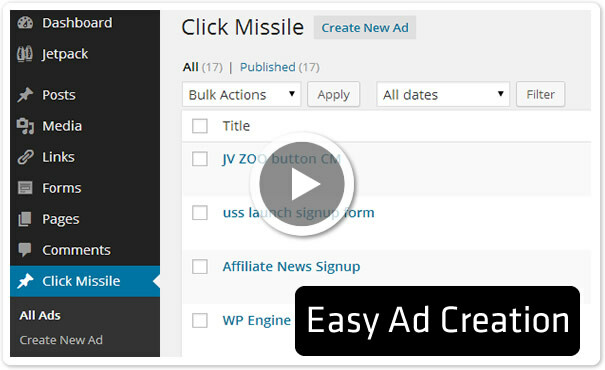 Creating an ad in Click Missile is as easy as creating a WordPress post. Note: Click Missile isn’t just for ads! Any kind of script or html snippet can be injected into posts using Click Missile. 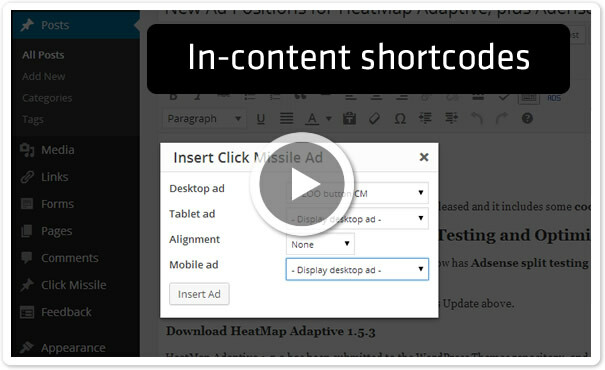 The powerful CMADS button injects and aligns ads exactly where you want them in your WordPress pages and posts. 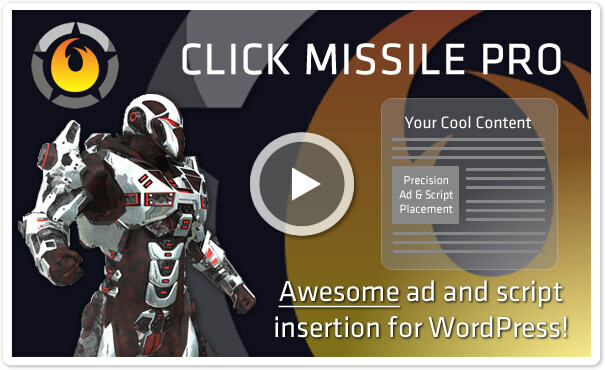 Click Missile includes possibly the most powerful WordPress Ad Widget ever created. Click Missile adds 5 extra widget positions to any theme, directly within the post content. 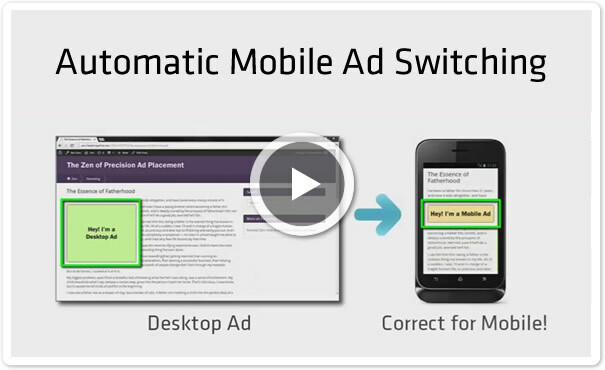 Click Missile can cleverly detect mobile devices and switch in different ads to suit the device. If Google told you precisely which Adsense ad placements will work best for your site would you listen? Yes of course you would! That’s why Click Missile Pro v4 now includes integration with Google Analytics Adsense experiments. 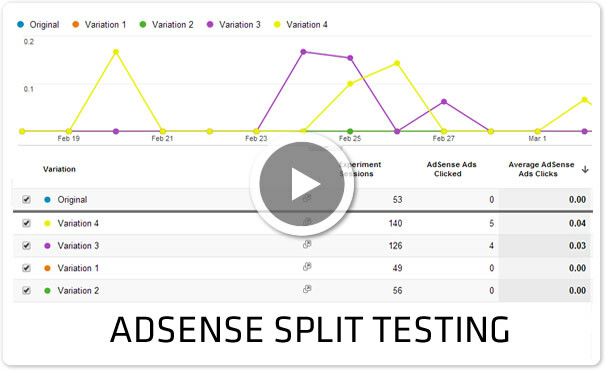 Our BONUS Adsense Split Test Mastery Video Course (included with Click Missile Membership) guides you every step of the way. When you set up adsense split testing experiments with Click Missile Pro you can discover precisely which adsense ad layouts work best for your site at the individual page and post level. We have been providing great themes, plugins and support to our members for 5 years since 2009.